Playwright Dana Leslie Goldstein has won the New England New Play Competition, Harold and Mimi Steinberg Playwriting Prize, Different Voices New Play Award, ACTF New Play Award, Henry Hoyns Poetry Fellowship, AWP Intro Award, an Academy of American Poets Prize and numerous development grants. Her work been seen at Cherry Lane, Culture Project, Julia Miles Theater, York, Theatre 80/St. Mark’s, Theater for the New City, New Dramatists, Center Stage, BMI, Vineyard Playhouse, Pulse, Theater Row Theatre, Gene Frankel Theatre, The Barrow Group, Acorn Theatre, The Lark, Beckett Theatre, Neighborhood Playhouse, The Workshop Theater, Pacific Theatre (Vancouver), TischAsia (Singapore), NYMF, on Ellis and Liberty Islands, at the U.N. and on Equity TYA tours. 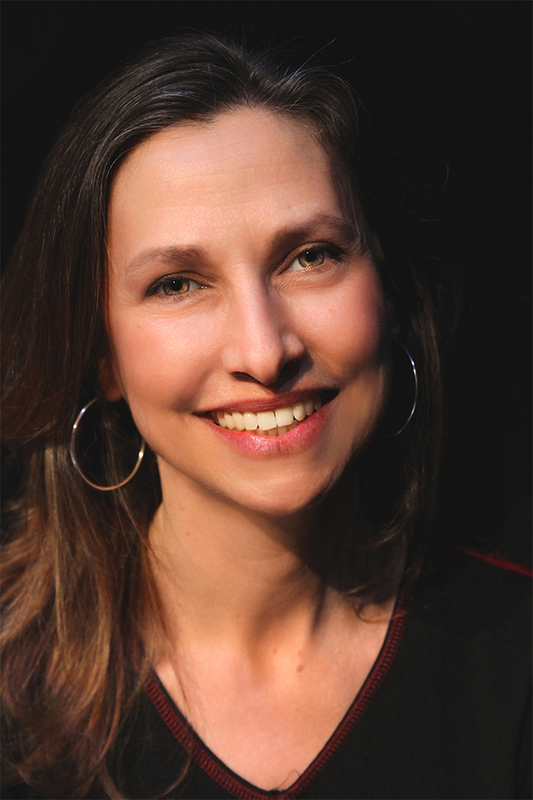 Dana has been a lyricist at BMI and member of the Playwrights Lab at Women’s Project, NewShoe & the Dennis and Victoria Ross Foundation Emerging Playwrights Lab. Dana attended Wesleyan University in CT. She also holds MFA degrees in both Playwriting and Poetry, each of which were funded by full writing fellowships. Dana’s play Daughters of the Sexual Revolution was produced on the MainStage at The Workshop Theater (NYC). Additional presentations have included the New York Society for Ethical Culture in New York, and the Players Club Theater of Swarthmore in Pennsylvania. Daughters...Revolution was selected by the Dennis & Victoria Ross Foundation/OHenry Productions for further development in 2017. It has now been optioned and is moving toward a Broadway production starring Melissa Gilbert and Timothy Busfield. Liberty, a monumental musical (book & lyrics). After two limited run, off- Broadway productions, Liberty will return to New York City in 2018, with events beginning in March. The original off-Broadway cast recording was produced by Broadway Records and is available on iTunes, Amazon and broadwayrecords.com. Liberty is commercially optioned. It is available for national and international licensing through Miracle or 2 Productions. Cyclone and the Pig-Faced Lady (book & lyrics by Dana Leslie Goldstein). Cyclone was Winner of The Women’s Project Collaboration Initiative Grant and selected for a Next Link Project funding award through the New York Musical Theatre Festival. Seen off-Broadway at The Barrow Group (NYMF) and at The Workshop Theater, NYC, CYCLONE is in development for the commercial stage with Theatrum Mundi Productions. Go Down Moses, Dana’s newest play, is a companion piece to Daughters of the Sexual Revolution. With mentorship from Lucille Lortel, Drama Desk and Obie Award winning actor Stephen McKinley Henderson, this play is in development for off-Broadway. A monologue from Dana’s play Suburban Nightmares has been selected for inclusion in The Best Women’s Stage Monologues of 2018 (Smith & Kraus). A monologue from Daughters of the Sexual Revolution was previously included in The Best Women’s Stage Monologues of 2017 (Smith & Kraus). Dana is a member of the Dramatists Guild. For more information, please visit www.danalesliegoldstein.com.